Regular visitors here at the Junkyard will no doubt be aware of my affection for Nintendo's latest hardware release. While I was skeptical initially, since purchasing a Switch I have fallen in love with the system and I rarely go anywhere without it. 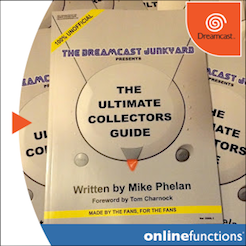 With this in mind, whenever a game is released that has even the most tenuous link to the Dreamcast, I sit up and pay attention. Most recently both Gunbird and Volgarr the Viking have peaked my interest, and while the former isn't actually a port of a Dreamcast game (although I'm willing to bet the sequel will be along sometime soon); and the latter was only ported to the Dreamcast posthumously, the very fact that games with a connection to Sega's final system are being released on Nintendo's current warms my cockles no end. You could cook an egg on my cockles, in fact. Pacific Rim or Zero Gunner 2? Following in the wake of the two aforementioned titles and the tsunami of Dreamcast/NEO-GEO ports, comes a re-release of Zero Gunner 2 - a paid-up member of the Dreamcast's celebrated stable of thoroughbred shmups. The Dreamcast's library of shmups is up there with the very best systems of yesteryear and there can be no doubt about that. 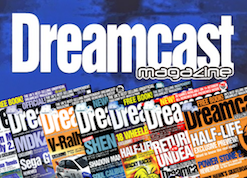 The issue I have - and I'm sure many others will agree - is that the vast majority of the cream of the Dreamcast's shmup library was only released in Japan; and due to this numbers of available copies are limited. As a consequence, original copies of these games are incredibly hard to come by in the wild, and when they appear on eBay or other sites online, the prices they command are very often prohibitive to the average gamer. So then, the first thing I want to get out of the way here is pricing. 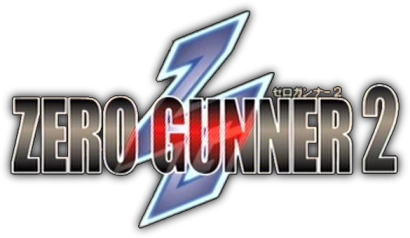 The Nintendo Switch version of Zero Gunner 2 costs £6.99 on the UK e-Shop. Compared to prices as low as £100 and as high as £349 on eBay (at the time of writing), it's something of a no-brainer. 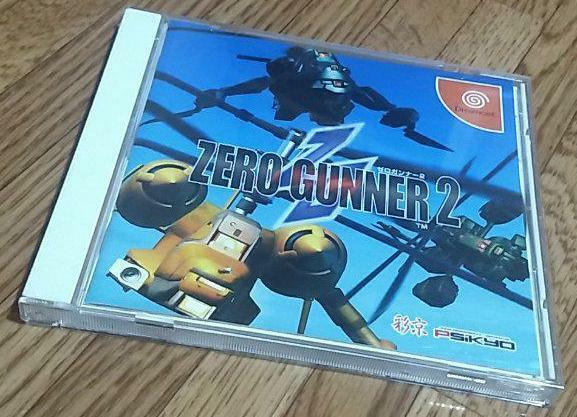 Naturally, with the Switch you only get a digital download as opposed to a physical disc but for many people, short of burning a copy downloaded from any number of ROM sites, experiencing Zero Gunner 2 in an official capacity is probably only a realistic proposition on the Switch. But we're not here to bemoan the pricing of Dreamcast shmups or the naughtiness of burning Dreamcast games you don't own - we're here to look at the experience offered by Zero Gunner 2 as a shoot 'em up, and also to ascertain if the Switch iteration is a worthy alternative to the Dreamcast port. 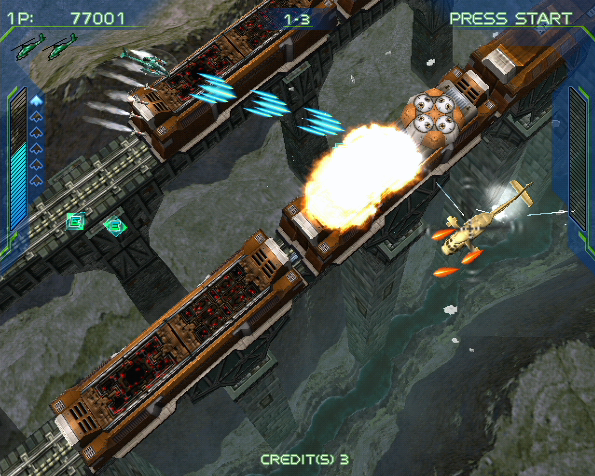 The basics of Zero Gunner 2 are thus: it is an arcade-to-Dreamcast shoot 'em up in which you take control of one of three combat helicopters and are thrust into a battle against an almost infinite number of enemy ground and air units. 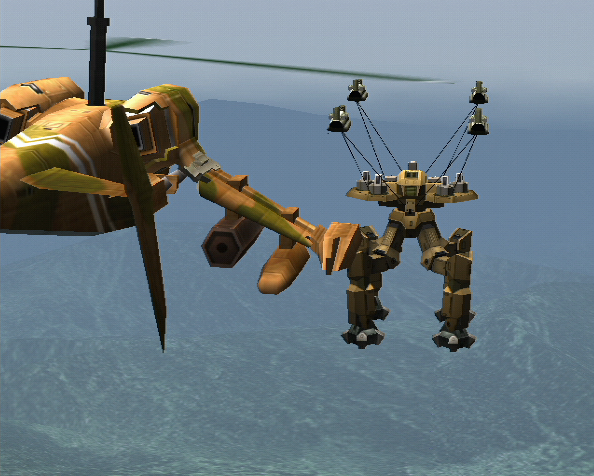 There are three variants of chopper, each with their own weapons system, firing pattern and special attack. 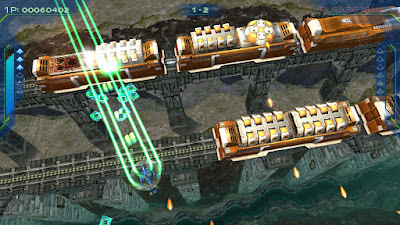 You generally fly upwards (although not always) through the stages and the action is viewed from a top-down perspective. 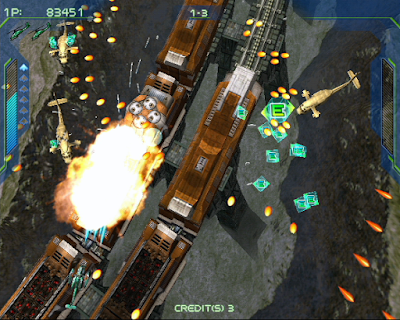 After a couple of minutes dodging enemy projectiles and units, you'll encounter a multi-stage boss that takes the form of some gigantic piece of military hardware before inevitably eroding into some kind of humanoid mech. 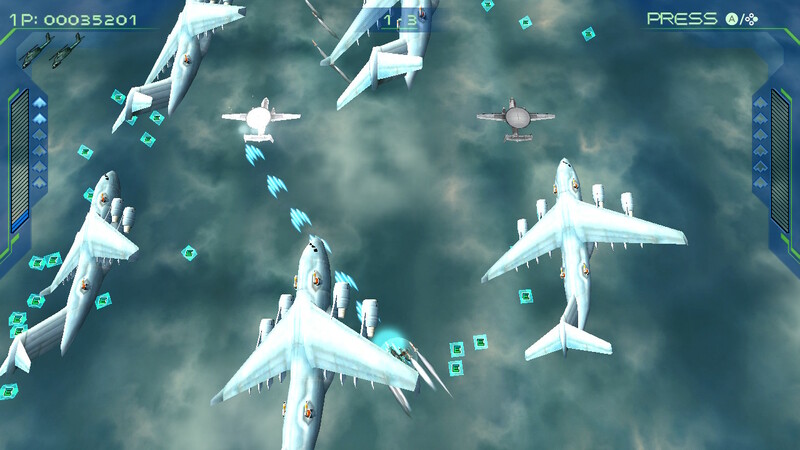 The interesting mechanic that Zero Gunner 2 introduces to the genre is the ability to spin your aircraft around on the fly (pun not intended) and shoot in a 360 degree spread as required. It's not a twin-stick set up, rather you have to hold down either the X or B buttons and rotate with the D-pad. It seems a bit unwieldy initially, but once you realise you can continue to hold down the A button while you use a second digit to hit either of the 'rotate' buttons, it becomes second nature to have your chopper spinning around and blasting enemies on any degree of the compass. Mercator would be proud, pilot. The general state of play in Zero Gunner 2 is that you have your standard weapon which is activated by holding down the fire button (A by default). Collect the green 'E' tokens left by certain enemies and you'll increase the power of your special (indicated by a gauge at the side of the screen and activated by hitting Y). Collect the red 'P' tokens and you'll increase the potency of your standard attack. As mentioned previously, the three different choppers have different weapons systems and attributes but generally once powered up by at least a couple of stages they're all pretty similar and equally devastating to any enemy craft stupid enough to wander into your line of fire. 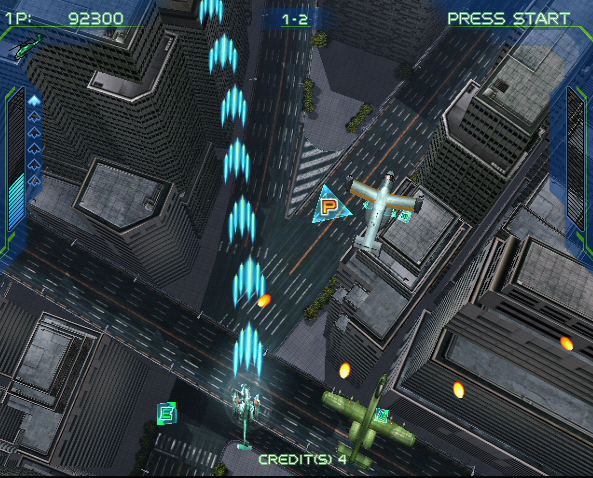 As a shmup for the Dreamcast then, Zero Gunner 2 represents everything we have come to expect from a respected entry in the genre. Controls are tight, difficulty is well tuned depending on the level you initially choose to play at (starting at 'child' and going up to 'very hard' in 7 increments). There is rarely a moment when the screen isn't completely filled with enemy fire and pick ups or a massive boss. Zero Gunner 2 is far from what you would consider 'bullet hell' but at times the screen can be filled with enemies and pick-ups and explosions...and frankly, it's glorious. 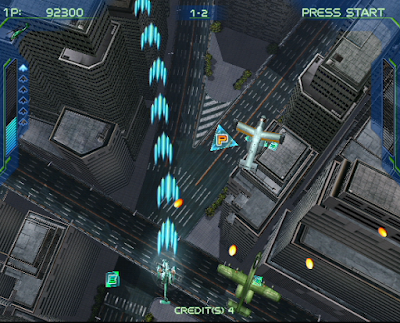 Yes, other shmups also take advantage of the multi-directional gameplay mechanic (Under Defeat instantly springs to mind, not least because it also features helicopters), but for instant action and pick-up-and-play enjoyment, Zero Gunner 2 is pretty flawless. 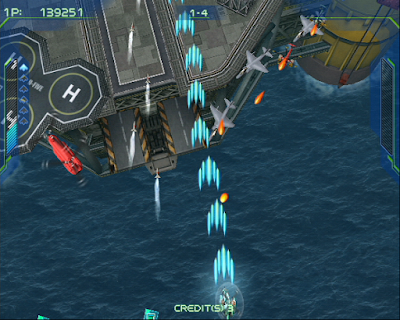 It isn't the longest game, with only 7 stages, and on anything but the hardest difficulty levels the average shmup player will smash the campaign with ease. 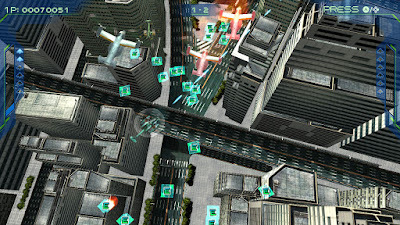 That said, the game is pure fun and high score runs are the main aim here. 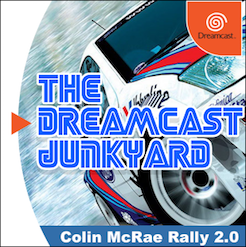 The polygonal visuals and stages vary in quality - the city levels are lovely; while the stages based over open expanses of ocean or cloud are sparse in scenery - but overall, on the Dreamcast everything moves perfectly. 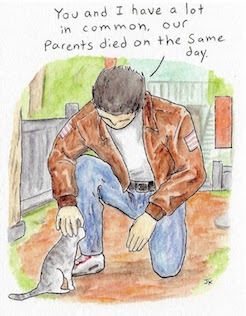 I'm far from an expert shmup player but rarely did I feel cheated when I died. Enemy air units have a physical presence that makes you bump off them, rather than instantly explode, and the way in which you can strafe around groups of foes or the boss characters is a refreshing diversion from the 'fire up the screen' tradition seen in other titles in the shmup genre. 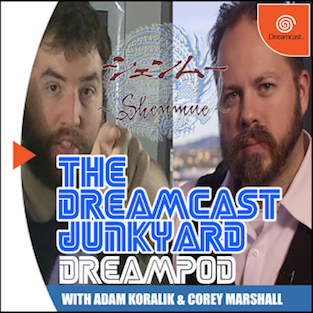 The Dreamcast original (or port of the arcade game, if you want to get technical) is widely regarded and critically acclaimed by genre purists. Indeed, Zero Gunner 2 is considered in some circles as one of the finest arcade shoot 'em ups ever created. So what then of the Nintendo Switch version? How does it stack up? It's a mixed bag, to be honest. As a way of experiencing Zero Gunner 2 without paying the best part of a hundred quid (or more), then it's commendable. It looks utterly brilliant on the Switch's little screen, and it's hardly shabby in docked mode either. One of the most intriguing things about the Switch version though, is the tiny little minus symbol incorporated into the logo. 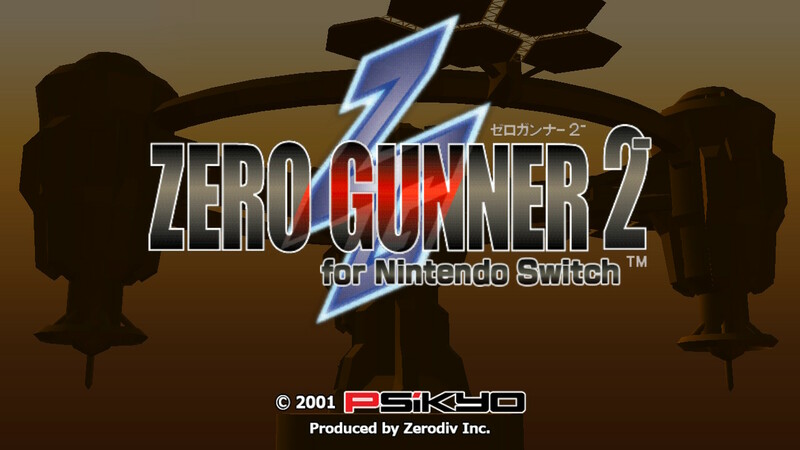 Technically, it should be called 'Zero Gunner 2 -' on Switch, and that's because the game was built from scratch for the Switch...because the original game files were lost. "Much of the data from the original game was lost, so we decided to rebuild it from the ground up. To show our respect to the original and so not as to diplease the die hard fans, we therefore added the '-' to the end of the title." Here's the full post translated using Google Translate, but it's a bit of a wonky translation. Anyway, let's have a gander at the differences between the two games. 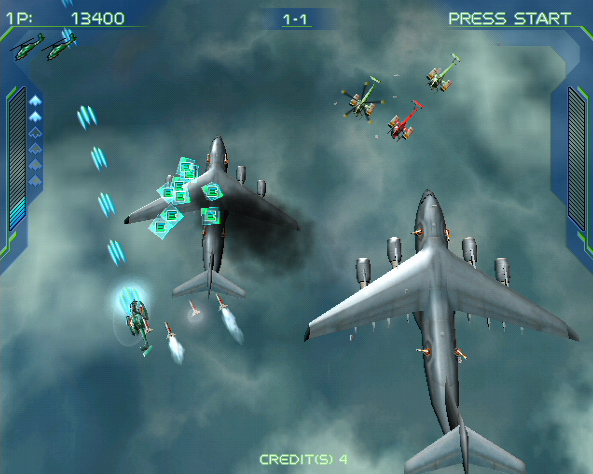 Straight off the bat, you'll notice that the intro scenes from the Dreamcast version seem to be missing from the Switch - you simply get a splash screen and don't get the in-engine scenes of the various choppers taking down hulking boss machines before the main title kicks in. 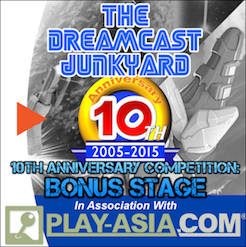 Also, the 'Replay' option from the Dreamcast game is missing too. The wider 16:9 display of the Switch does actually benefit the game though due to the free-moving nature of the gameplay, and as such the environments feel a little more roomy than the 4:3 window you're limited to on the Dreamcast. 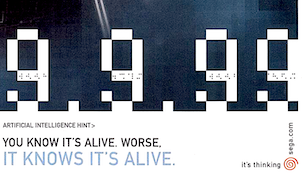 That is, unless you commit the cardinal sin of playing your Dreamcast stretched to 16:9 on a modern TV! There are other minor graphical differences too, with certain models and weapons appearing slightly altered from the original game; and some effects look a bit odd too - one that stood out to me on the Switch was the water effect as the submarine boss emerges from the depths. 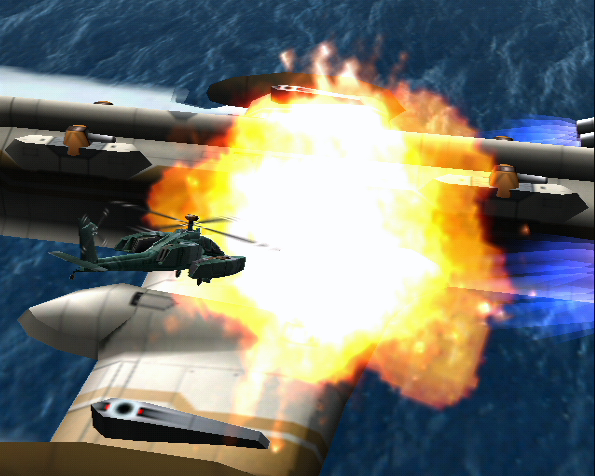 The foam and spray around the boat's hull looks a bit strange, whereas in the Dreamcast version the effect is a lot more subtle. 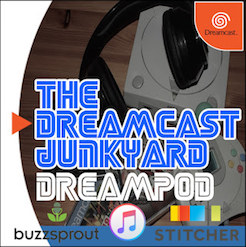 After speaking with a couple of Dreamcast Zero Gunner 2 aficionados, I've also heard tales of audio being out of sync and invisible bullets prematurely ending high score campaigns on the Switch. Personally, I haven't encountered these phantom projectiles and the music sounds almost identical, but more than one person has claimed to have (not) seen/heard these phenomena...so I'm inclined to trust their judgement. Update: It appears that after playing for extended periods (well, 20 minutes or so), a bizarre glitch sometimes occurs where the pick-ups are not rendered by the game, but you can still collect them and the special attack meter continues to fill up. It seems that enemy projectiles are also affected by this glitch, meaning that yes - you can be killed by invisible bullets on occasion. The only way to get rid of this annoyance is to close the game and restart the software from the Switch's dashboard. One thing I certainly noticed myself is the way that in the Dreamcast version the red 'P' power-up tokens hit the edge of the screen and bounce back into the play field, but on Switch they don't have any hit detection and drift out of the screen if you don't pick them up. I should mention that one of the main mechanics in Zero Gunner 2 is that if you stop firing your main weapon then power-ups are drawn towards your chopper...but this is a really annoying little oversight. Another thing I noticed is that if you suspend the game by hitting the 'home' button on the Switch, sometimes when you go back to Zero Gunner 2 the game has frozen and requires a reset. It's not the end of the world and surely something that can be remedied with an update, but I thought it was worth mentioning. 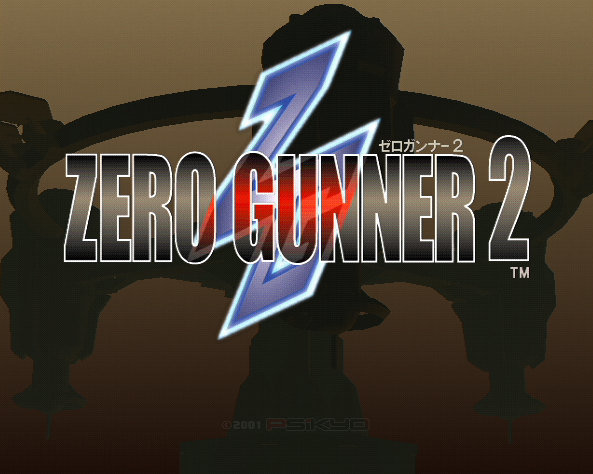 In summary though, and regardless of these little issues, Zero Gunner 2 for the Switch is a really high quality game. 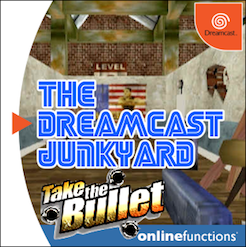 It costs £6.99 for a start, and allows you to enjoy one of the Dreamcast's most revered shooters for a fraction of the price of the original. It's perfect for short blasts while on the bus or on the train, and likewise for trying to best your high scores while a bead of sweat forges a path down your furrowed brow. Game modes and replay value are very limited, but while it lasts it is great fun and will undoubtedly have most shmup fans coming back for more. It looks and sounds great on both systems, and plays pretty much identically in truth; and if you can overlook the little bugs in the Switch game (I can), then you could spend your money on something far worse. It's actually really cool to see a game like Zero Gunner 2 come to a whole new audience without the prohibitve price associated with the Dreamcast version, so by all means give it a go if you happen to own Nintendo's new system. 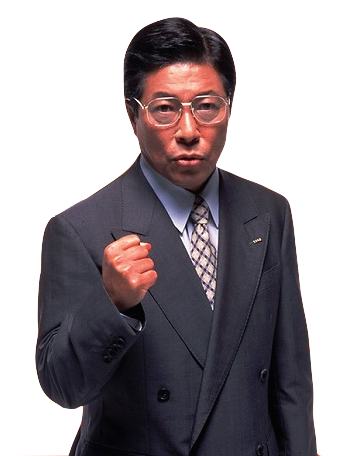 Likewise, if you have enough money to go for the original Dreamcast version, then you'll get a good deal of enjoyment too. Win win situation, really. Finally, I must also add that because we here at the Junkyard are not important/relevant enough to get review codes for Switch games, I had to rely on Mike Phelan who paid the £6.99 asking price into my Paypal account so I could purchase the Switch version of Zero Gunner 2. This is mainly because I was massively overdrawn and it was the end of January. 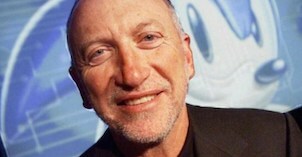 Such a legend of a bloke - cheers Mike! Thoughts? 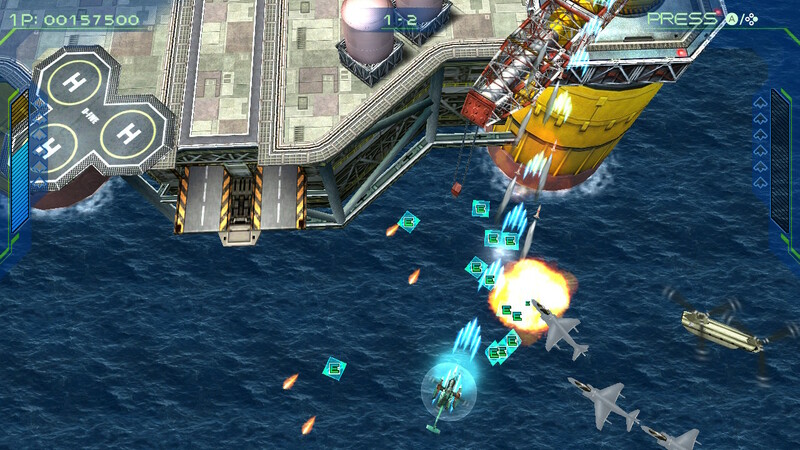 Will you be purchasing Zero Gunner 2 for the Switch? 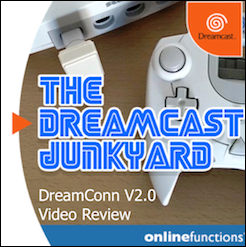 Or are you happy enough with the Dreamcast version? Let us know in the comments or join the conversation in our Facebook group or on Twitter. 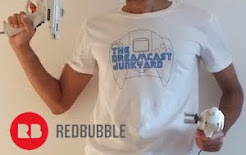 Is there a market for new replacement Dreamcast shells? 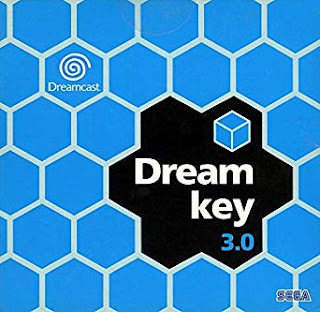 I was really looking forward to this port seeing as its one of the few Dreamcast games I can't afford to own a proper copy of, but I think I will be waiting for a patch fixing some of the issues if they do one before I bite on this Switch version. I will support this release if and when they do it right. I've bought this and absolutely love it. 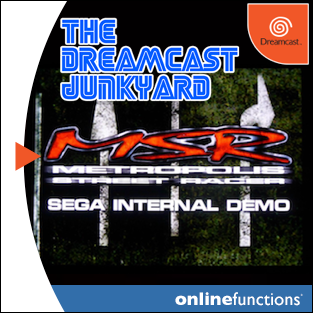 It's one of my favourite games on the Dreamcast and for only £7, you can't really go wrong. But if you own a switch and want this game on the go, it seems worth the low asking price for sure! I won't be buying a Switch until they port the fantastic Spirit of Speed 1937! The port of the switch I find differences of the DC as are the textures and colors of certain backgrounds. Currently Zero Gunner 2 of the Dreamcast has a prohibitive price as it happens with the vast majority of the shmups of the DC. It is another cheaper way to get it on the Switch.